My Writing — Transform your life! Thom is many things: a practicing Jungian psychologist, life and executive coach, educator, and consultant to people and industry throughout the world. His use of alchemy as metaphor of change and transformation is aimed at personal as well as corporate transformation. His "tools" include life/writing/professional coaching and consulting, seminars and workshops, books and articles, therapy and healing. Having received his doctorate in 1979, Thom has over thirty years experience as a psychotherapist, writer and alchemical artist. His work is always creative, imaginative and backed by years of research. Being a Leo, his affinity is toward his opposite element, water, and so he spends a good deal of time swimming in the mighty pacific. Thom's love for travel has brought him to such far away places as India, Egypt, Japan, South America and Europe. His passion is founded on his purpose in life: elevating consciousness on every level. Applying alchemical psychology is a way to facilitate change and transform the consciousness of mind, body and soul. Published works: Alchemical Psychology, Old Recipes for a New World(Tarcher/Putnam, 2002). 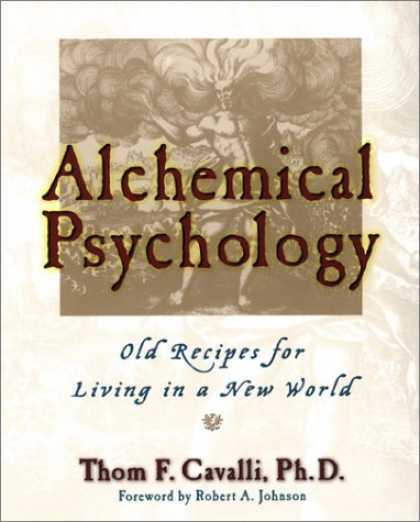 This book is based on a series of lectures describing the basics of psychological alchemy. It is written in an autobiographical style that includes lots of stories, myths and legends. It describes some of this history of alchemy, its stages and operations. Thousands have found it a fun read! The journey begins with the first step - purchase this guide book click here! "It is difficult to convey the poetic and alchemical understanding the author brings to this [book]. It really has to be experienced. Let me assure the reader that an 'embodied meaning' will result from an actual encounter with his text..." Marvin Spiegleman, senior Jungian analyst, from a full-length review in the Jung Journal, Summer 2012, vol 6, number 3. Film reviews were published in three editions of the Jung Journal. these include "The Art of the Artist," "The Master" and more recently, "Birdman or the Virtue of Innocence". Book Review: A review of John Amodeo's book Dancing with Fire, A Mindful Way to Loving Relationships appears in the winter 2014 edition of Quest Journal of the Theosophical Society in America. Other essays and an alchemical fairy tale can be accessed free on www.scribd.com and www.academia.edu . To arrange a seminar, workshop or request a free initial, personal life, writing or profession consultation click here.